Sometimes it is hard not to fall in love with a prospect just based on potential. When I see Bryce Montes De Oca, potential is most of what I see. 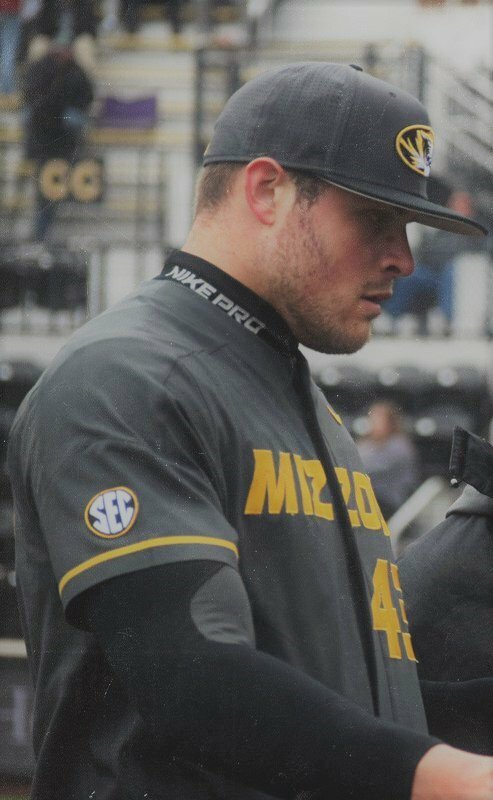 The University of Missouri right-hander is a scout’s dream and nightmare. He’s 6’7″, close to 250 pounds of all muscle. He can throw in the upper 90s, and the ball just moves. He is mainly a 2 pitch pitcher but is said to be working on a changeup. Montes De Oca is not without fault. He also drives scouts nuts with his mechanics. The big right-hander already had Tommy John surgery once and he has issues with command and consistency. 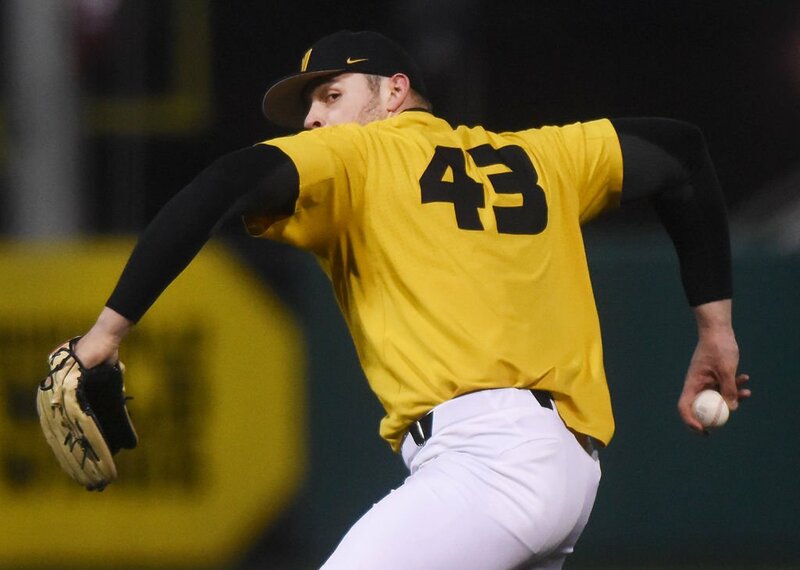 One evaluator said Montes de Oca has a “flat arm” and “not sure he was even worth drafting.” Montes de Oca’s forearm and wrist are extended down in his delivery, in the shape of the dreaded M, rather than upward at a 90 degree angle in the shape of an L. For me, that’s not a deal breaker, but it could lead to another injury if it is not changed. Some team will think they can fix him. “They have the technology.” And they are right. The draft is all about projection. It is not about who they are now, but rather, who they can become. Montes de Oca can be scary good, but he is going to have to adjust at the MLB level. Montes de Oca is originally from Lawrence, Kansas. His freshman year at Missouri in 2015 saw him pitch 8 innings in 7 games before having Tommy John surgery. After missing 2016, he came back last year as a draft eligible sophomore. He threw 61 innings in 15 games (12 starts) and struck out 61 with an ERA just over 4 and 42 walks. . This year, he was already part of a no-hitter but he’s also displayed that up and down nature of performance. He could strike out 13 or he could strike out three. He could walk one in a game or walk seven (which he has done twice). You never know who is going to show up. As a result, his draft status is a little uncertain. There’s no doubt he has big-time potential. I, for one, would take that gamble. On Sunday, he was on the SEC Network and he looked very good. Over six innings, he gave up one run against Mississippi State. He struck out 7, allowed 6 hits, walked one and hit two batters. I thought he was done for the day. He was sent back out for the seventh with 94 pitches on the arm for a fourth time through the order and gave up the farm in the seventh inning. I wound up just clicking the TV back to the Cubs’ game. If he hits his potential, you win big. You get a middle of the rotation starter who can throw in the upper 90s to 100. Even if he ends up in the pen, he could easily hit triple digits regularly as his stuff would probably take up a few notches. I don’t know how you do not take him. The issue is always going to be what round. Is he good enough to take in the third round? The fifth round? Coming out of high school in 2014, the White Sox took him in the 14th round. Last year, as a redshirt-sophomore, the Nationals took him in the 15th. Montes de Oca gambled and returned to Missouri to better his draft stock. To be honest, he could go in the second or he could go in the 10th, it just depends how teams evaluate his potential and if he will sign. Unless he really puts it all together this spring, he is more than likely going to be a day two pick. He could also be a hard sign as he still has one more year college eligibility left. He is still 21-years-old for a couple more weeks. Not too many teams are going to want to fork out big money for a 23-year-old senior next summer. If he returns to Missouri, he’s really gambling on himself to be a first round pick as he loses all leverage in any negotiation for next year. The next draft prep posts will return in May as the MiLB season begins next week.